Please email us with your shipping zip code and the quantity of Lineal Ft. desired for a final cost. Specific Uses: Commonly used in glazing installations, windows and door applications, expansion joints, curtain wall joints, partitions, log constructions, pavement joints, repairs, precast units and copings. 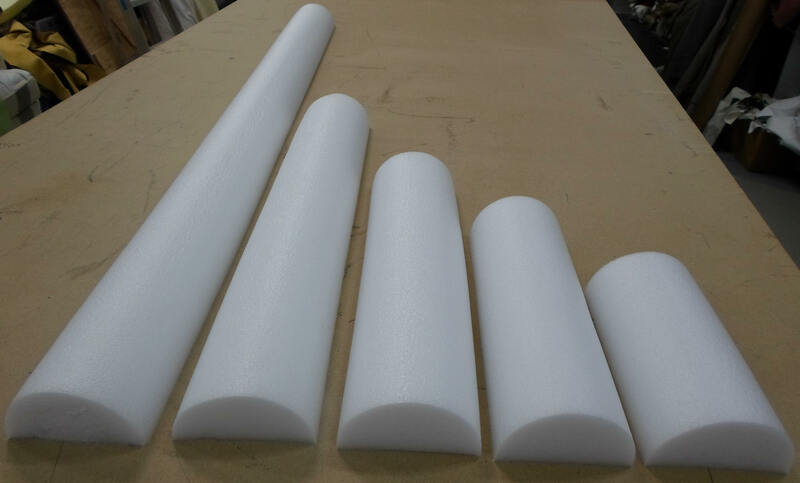 Composition and Materials: ITP Standard Backer Rod is an extruded round, closed cell, low density polyethylene foam material with a skin-like outer texture. 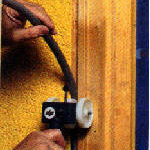 It is highly flexible and compressible for easy installation. 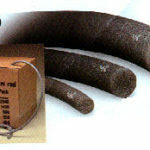 Available in stock in a grey color and we offer a wide variety of diameters. Call us today for more information! 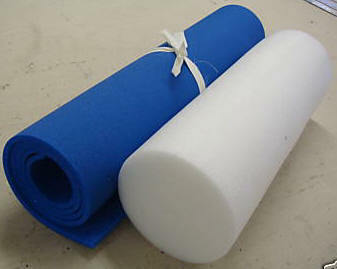 Foam Roller Bolsters can be used for Massage, Seat and Reclining Exercising, Yoga, Pilates, Gyms and Rehab! Ease muscle tension in the neck, shoulders, hips and spine to improve your body’s awareness, balance, muscle flexibility and strengthen core stability. Can also be used for motor skill development for better quality of movement. 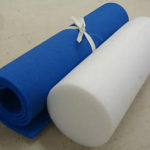 Yoga Mats: This lightweight mat is made out of high quality cross-linked polyethylene foam that offers cleanliness, comfort and support to the body. 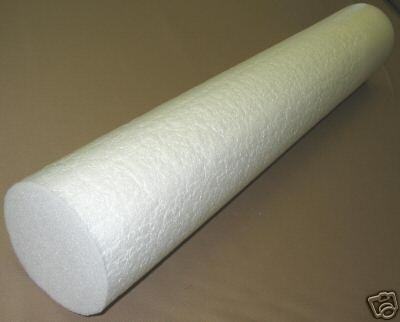 This foam is also long-lasting and is durable and will not absorb moisture. This foam is easily cleaned with a damp cloth. 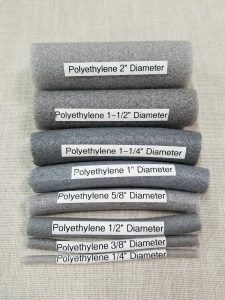 Please Click Here For Foam Specs. Please note: In stock orders will take 1 week to ship out. Please note: Out of stock orders will take 6 weeks. This is an extruded and molded closed cell neoprene foam sponge. 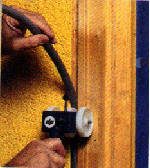 This is used as a hot or color applied sealant backup to fill vertical and horizontal joints. Resistant to heat, ultraviolet, and many chemicals.